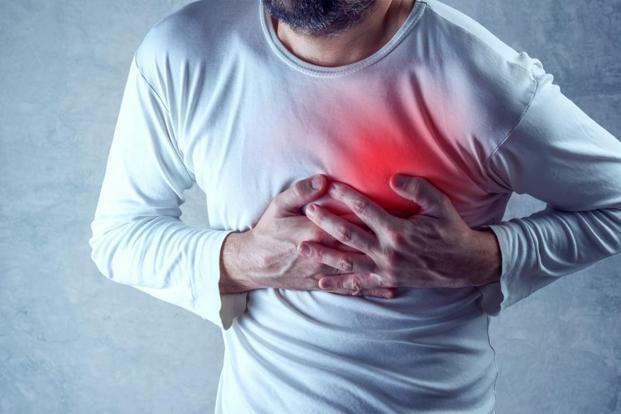 A heart attack has the same cause as angina pectoris: insufficient blood supply and thus too little oxygen for the heart muscle (triggered by vasoconstriction or a blood clot). The oxygen deficiency of a muscle area, however, is so great that the tissue dies if it fails to open the bottleneck within about six hours. A heart attack is still one of the leading causes of death in men. Stop smoking: Nicotine increases the carbon monoxide content in the blood and displaces the oxygen. Cigarette smoking also leads to the clumping of platelets, constricted vessels are easily clogged. At the latest after five years of strict abstinence, the risk of heart attack is again comparable to that of a non-smoker. Less fat, less salt, fewer calories, but more fresh fruit and vegetables are the motto. This will lower the main people responsible for vascular deposits, high blood pressure, obesity, and blood lipid levels. Supportive is exercise (such as running, swimming or gymnastics). Many scientists are convinced that the active ingredient acetylsalicylic acid (ASA) not only combats headaches but also protects against heart attacks. Even in low doses, taken regularly, the substance should inhibit blood clotting and prevent such as blood clots. However, ASA can cause stomach problems. For infarction prevention the use is therefore only in consultation with the doctor advisable! call the emergency doctor! The most important and life-saving self-help is to call an ambulance as soon as possible. Until the arrival of the emergency doctor, you should lie down immediately, loosen the clothes and avoid excitement as much as possible.